Here at the Cockrell Butterfly Center, we make every effort to inspire wonder and interest in the natural world — especially in the under-appreciated area of insects and their relatives. Butterflies are a great ambassador for the insect world since they tend to be admired by most people. Many other insects rouse feelings of fear or repulsion (cockroaches, anyone?) But, we encourage you to see past those initial reactions and appreciate ALL insects and their relatives. That being said, it’s always important to use caution and common sense. In this article we list 7 native Texas bugs you should admire with your eyes but not with your hands! 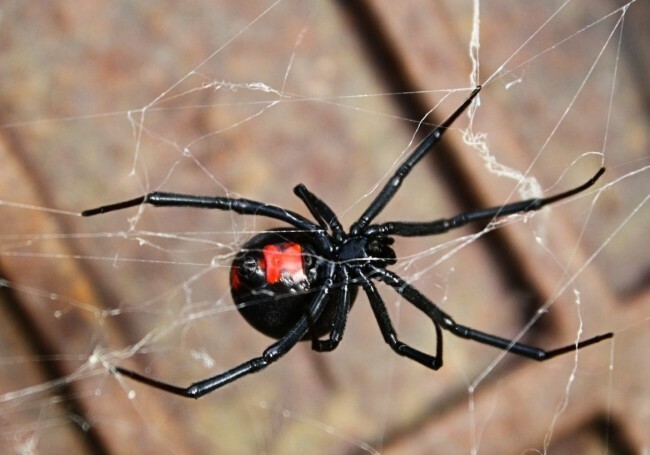 Southern Black Widow (Latrodectus mactans) – These spiders are commonly found throughout the Southeastern US and are known for their black and red coloring. This species is a potentially dangerous spider, although it is typically shy and non-aggressive. Its venom is neurotoxic and while there is no “typical” reaction to a bite in humans, it can be excruciatingly painful if venom was injected (as opposed to a “dry” bite). Brown Recluse (Loxosceles reclusa) – The brown recluse spider is rarely aggressive (hence its name), and bites are uncommon. The bite frequently is not felt initially and may not be immediately painful, but it can be serious. 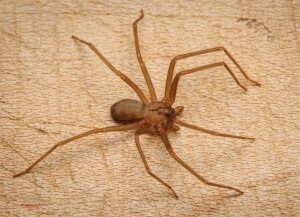 The brown recluse possesses a hemotoxic venom. Most bites are minor, however, a small number of brown recluse bites do result in necrosis. It is now known that many other necrotic conditions have been incorrectly blamed on spider bites in the past, adding to this spider’s bad reputation. Striped Bark Scorpion (Centruroides vittatus) – Of the 18 species of scorpions found in Texas, this is the most commonly encountered. It is normally found underneath rocks, or other debris. Thousands of stings occur each year usually due to accidental barefoot encounters. Stings are not medically significant, though neurotoxins in the venom can cause pain and localized swelling that usually subsides within 30 minutes to one hour. 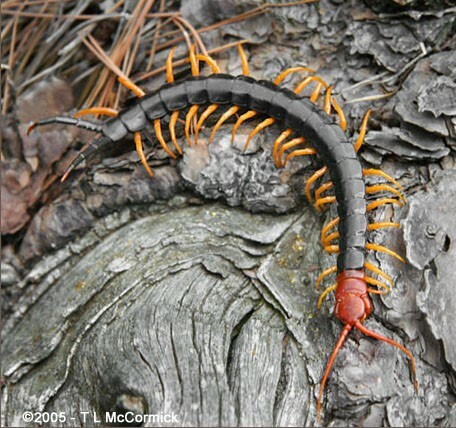 Texas Red-Headed Centipede (Scolopendra heros) – The Texas Red-Headed Centipede can reach up to 8 inches in length and occurs in the southwestern United States and northern Mexico. It is a nocturnal predator that feeds mostly on other invertebrates. For humans, a bite from S. heros usually causes sharp, local pain and swelling, and have occasionally been known to cause nausea, headache, and skin necrosis. Kissing Bugs (Triatoma sanguisuga, Triatoma gerstaeckeri, and Triatoma protracta) – The Kissing Bug is a nocturnal blood-feeding insect with three species being found in Texas. They usually bite humans near the mouth or eyes – hence their common name. The bite from a kissing bug may be mildly painful, but the real danger comes from the potential transmission of the parasite that causes Chagas disease, Trypanosoma cruzi. An estimated 50% of kissing bugs in Texas are infected with the parasite. 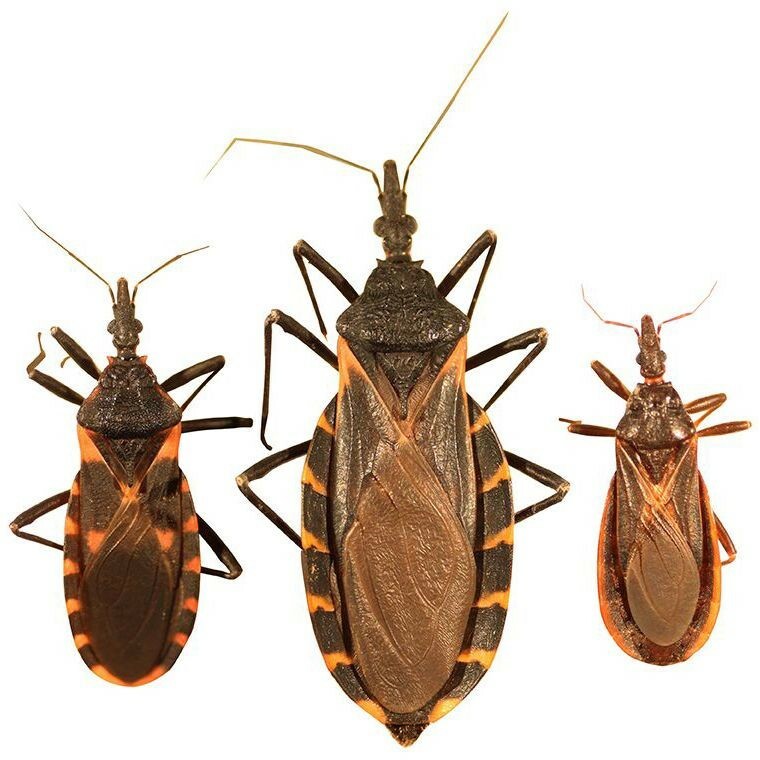 Chagas disease has many symptoms and is difficult to diagnose. Delayed treatment can result in a chronic phase of the disease. 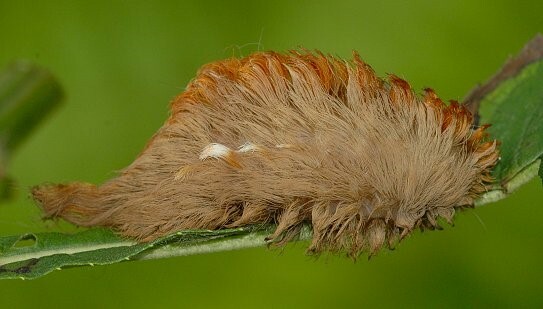 Asp Caterpillar (Megalopyge opercularis) – This caterpillar is the larval stage of the Southern Flannel Moth. It can be found in oaks, elms, and many other garden plants such as roses and ivy. The caterpillar is coated and appears deceivingly soft, but contains stinging venomous spines. Exposure to the spines results in immediate skin irritation in a grid-like pattern and severe, radiating pain that might last for several hours. Medical treatment is not usually necessary. Eastern Velvet Ant (Dasymutilla occidentalis) – The velvet ant is a species of parasitioid wasp named for their bright, velvety appearance. The females are wingless and commonly mistaken for a member of the true ant family. Females are capable of an extremely painful sting but medical intervention is rarely required. Most bugs are completely harmless and the small proportion which can inflict a painful sting or bite, only do so as last resort if cornered or threatened. With the knowledge of which bugs not to handle, you can safely observe these critters from a distance and avoid a potentially painful interaction! We encourage young scientists and future entomologists to get out into nature to learn and observe bugs in all their fascinating varieties. Celeste is the Butterfly Rearing Coordinator in the Cockrell Butterfly Center. No argument with any of those. My dog was stung by a velvet ant and had a seizure as a result. 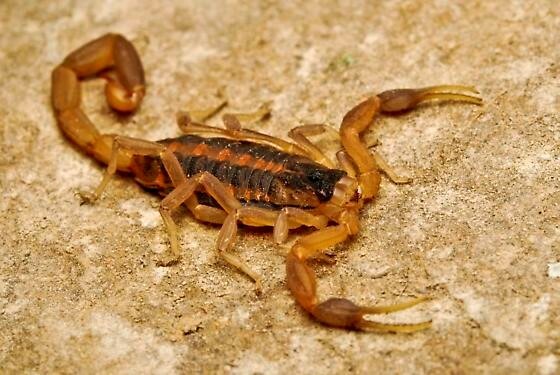 I had no idea there were 18 species of scorpion in Texas! 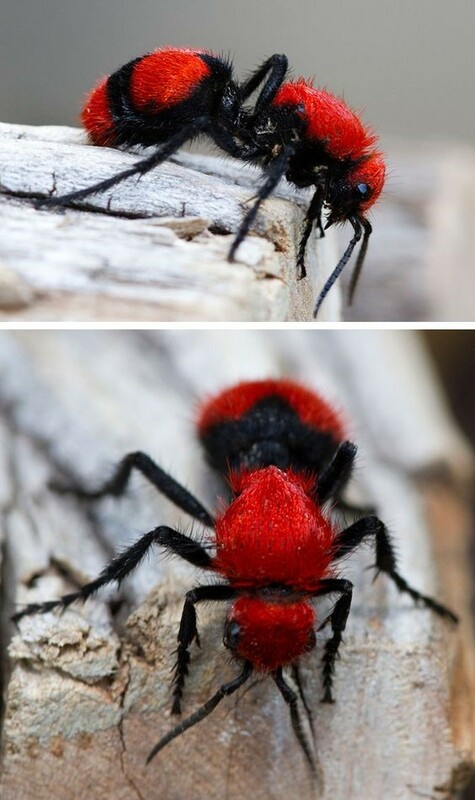 I have seen the eastern velvet Ant and it has always looked very harmful. Great information. Most harmful insects, snakes and animals exist in a place where water is scarce, and the stings, bites, etc. are caused by competition for water. Next Post Spring Break 1936? Texas Tourism Before The Interstate Highway System.